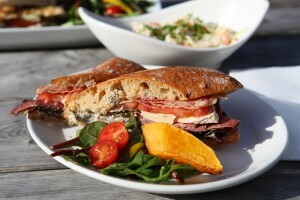 Selection of Wraps, Bagels, Sandwiches and Rolls. Garlic butter & Mozerella foccocia with chicken fillet, lettuce, tomato and special sauce. 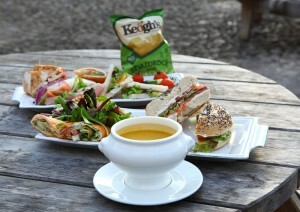 Why not add Soup to any of the above for €3.00 per person.